When a corporation elects to be treated as an S corporation by the IRS, the shareholders are choosing not to be taxed at the corporate level. Instead, the corporation passes its respective profits and losses through to its shareholders. This has net economic advantages of avoiding double taxation of earnings and profits, and in the case of losses, allows owners to shelter other sources of income from taxation. An S corporation files an information return using IRS Form 1120S, on which it calculates profits or net operating loss on its business activities. 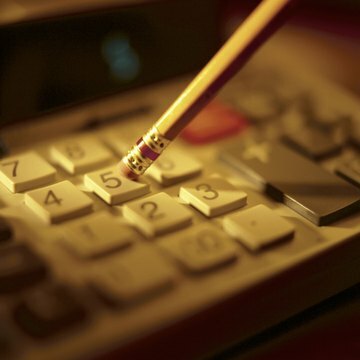 The corporate tax return includes standard tax deductions for ordinary and necessary business expenses. However, since an S corp is a pass through entity for tax purposes, it does not pay any taxes on its profits or make use of losses directly. These are instead ratably allocated among the various corporate shareholders and disclosed to each on IRS Schedule K-1, so that each individual taxpayer may include the corporate profit or loss on their individual tax return. Each individual shareholder in an S Corporation receives an IRS Schedule K-1, which indicates the shareholder's percentage allocation of business profits and losses. Income allocated on the K-1 is combined with other sources of income on the shareholder's individual tax return. Any losses from the K-1 can then be applied against these multiple sources of income, potentially lowering the shareholder's overall tax obligation. A valuable characteristic of pass though losses is that, according to the IRS carry forward and carry back rules, an S corporation shareholder may apply excess losses from the current year against previous or future years of taxable income. This advantageous tax treatment has the effect of increasing the value of deductions and losses since they can have significant tax effects outside of the current tax year. Can a Chapter C Corporation Carry Over to a Personal Tax Return? Once you file the appropriate documentation to create a legal corporation in your jurisdiction, state and federal law will recognize the corporation as an independent entity. For federal tax purposes, the entity is subject to income tax under Subchapter C of the Internal Revenue Code and is referred to as a “C corporation.” Since Subchapter C treats corporations as distinct taxpayers, the net income or loss doesn’t carry over to the personal tax returns of shareholders. Can a Sole Proprietor File as an S Corporation? Understanding that a business structure affects more than just management is an important first step to selecting the right company type. Because a sole proprietorship provides an owner with the ability to operate under his own name, total responsibility remains with him. When it comes to the payment of taxes, knowing how to achieve the benefits of pass-through taxation without having to alter the business structure can be very important. An S corporation and a sole proprietorship both pass tax liability on to the owner or shareholders. However, because the business structures differ greatly, so do the filing processes. Business owners are able to also work in their business as employees. This means they can earn wages or base salary, as well as their share of net profit from the business. An S corporation is a special type of business entity that has a favorable tax treatment by the Internal Revenue Service. As part of its pass-through tax status, it is required to treat all of its owners equally. However, there is no requirement that its owners work as paid employees for the S corporation in equal amounts or for equal compensation, or at all.